Yesterday, Adam Paulencu, Ethan Elias and Jake Hansen were selected on day 2 of the draft. 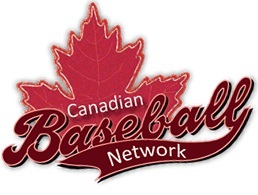 Joining them as MLB draftees from Alberta today were LHP Sheldon McDonald from Spruce Grove, outfielder Cory Scammell from Edmonton, Ryan Thompson who I previously wrote about, and Brendan Hendriks. Some other names notable to Albertans including LHP Sean Dartnell who went to Vauxhall Academy and 1B Trevor Gretzky who I'm told had a dad who was a professional athlete in our province.